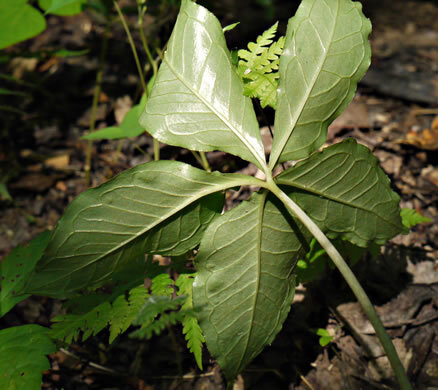 Lateral leaflets (of primary leaf) 2-parted or 2-lobed (rarely unlobed), per Weakley's Flora. 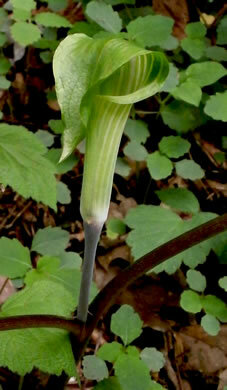 Lateral leaflets are deeply bilobed, so leaves appear to have 5 leaflets, per Wildflowers of Tennessee. 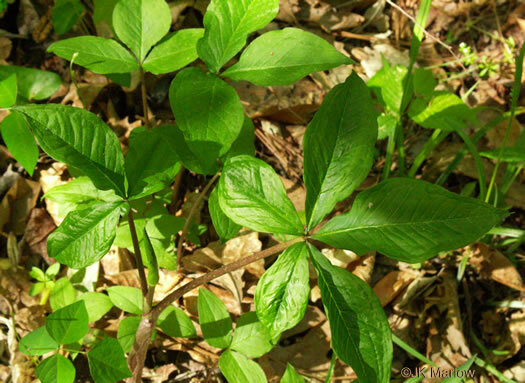 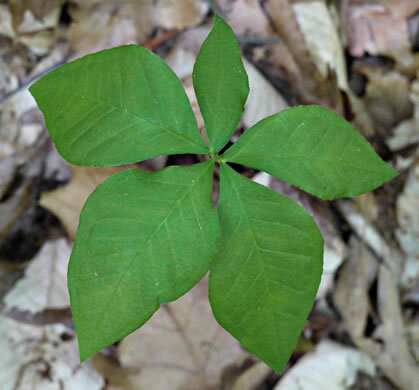 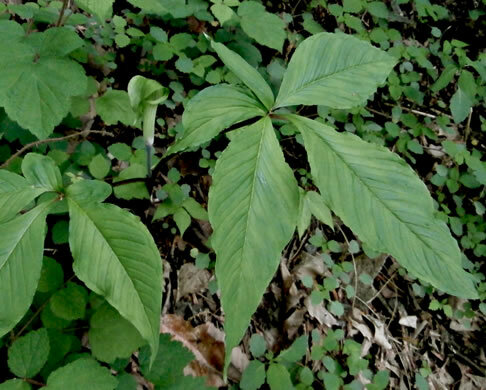 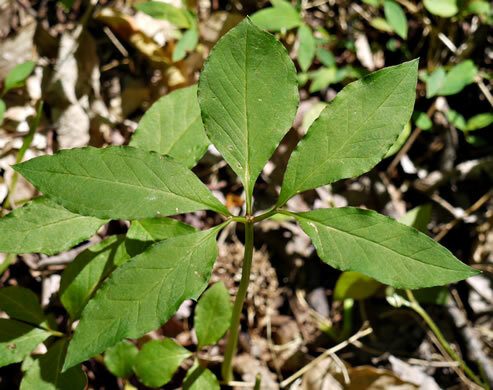 Often considered to be a variety of, or not distinct from, A. triphyllum, per Wildflowers of Tennessee, the Ohio Valley, and the Southern Appalachians. 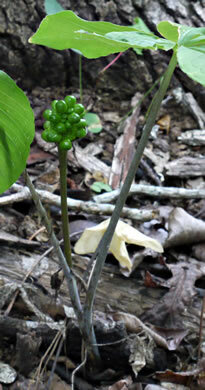 Spathe withers after flowering, replaced by a showy cluster of red berries, per Atlantic Coastal Plain Wildflowers.